As we highlighted in our last blog post, this year is the National Park Service’s centennial year! All across the country families and communities are taking time to celebrate the beauty of the sites and monuments near their homes, and here at Kachina House we would like to take some time to do the same. There are many incredible areas across the Southwest that have been preserved for the generations to come by the National Park Service. Some of our favorites of these locations are those that emerge from Native American history, including the three Arizona monuments we have listed below. Originally home to the Sinagua (without water) people, Tuzigoot is a National Park developed to protect an ancient pueblo where these Native people lived and farmed. 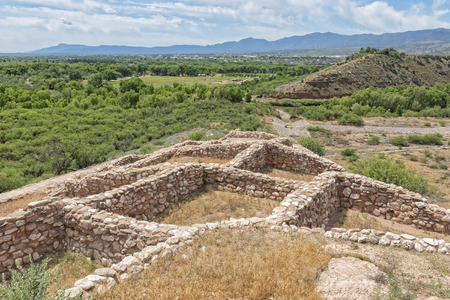 The oldest of these Pueblo structures are believed to have been constructed around 1000 A.D., and the entire monument has three stories, more than 100 rooms, and 42 acres of desert landscape. Not able to visit the Pueblo in person? The National Park Service website offers an interactive photo and video tour of this beautiful monument. If you are looking to do some real hiking and adventuring during your tour of the Southwest, Wupatki is one of the best Native American sites to visit. A 35,422 acre park that offers incredible views of the Painted Desert, this park was first established by President Calvin Coolidge in 1924 to protect the area’s ancient Pueblo ruins. This expanse of sandy, desert landscape is home to an incredible variety of archeological sites and structures, and there are a few different programs you can experience during your visit. We recommend learning as much as you can from the park rangers during one of their daily walking tours or discovery hikes. Can you imagine building your home upon a canyon wall? That is just what the people who called Walnut Canyon their home did hundreds of years ago. More than just a beautiful piece of nature, Walnut Canyon is also an archeological site filled with artifacts and ancient Pueblo dwellings. First home to the Archaic people, this area was inhabited more than a thousand years ago. 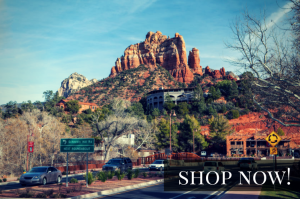 As you are learning about Native American culture here in Arizona, take some time to visit Kachina House in our Sedona showroom. We are happy to share our knowledge with you as you browse our expansive collection of Native American art and craft pieces, artifacts and more. You can even shop with us online or call us at 866-587-0547 for assistance finding a particular style of artwork.